I was recommended Ben Wheeler Pianos by a good friend of mine and I certainly wasn’t disappointed. 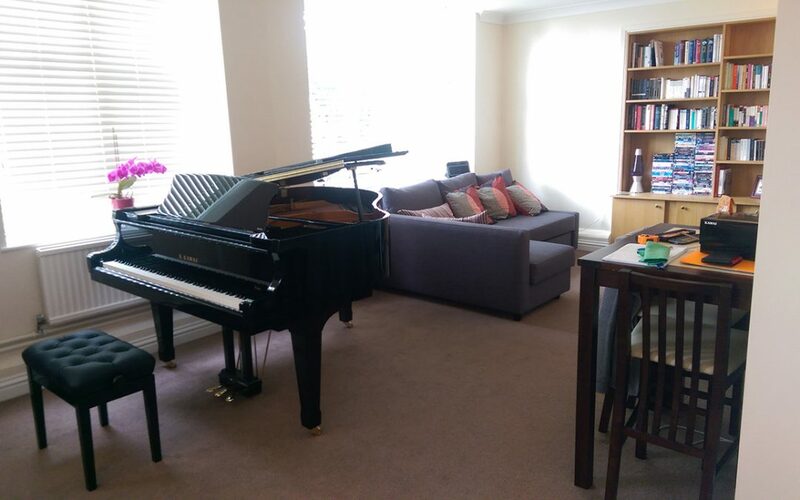 Ben made us feel very welcome as soon as we arrived, with an offer of fresh coffee and a relaxed chat to talk about the kind of piano I was looking for. He has a stunning selection of uprights and grands: probably the most that I’ve found in one place and it was a delight to try them out. Ben is very perceptive and quickly understood the tone and the touch that I preferred. It was also especially informative to hear about restored pianos and, indeed, differences between makes of new piano. After playing many of the grands in the showroom, I had more or less decided on the Kawai GX-1 but even at that stage there was no pressure from Ben to close the sale. However, in spite of shopping around a bit more that same afternoon, I never found a better piano (or customer service) elsewhere. Ben was also especially amenable when it came to the logistics of trading in my previous upright and arranging delivery of the Kawai and he and Michelle kept in touch with me by email throughout the process. I must also mention Neil and Martin who do the deliveries: very careful, efficient and good-humoured! The GX-1 now has pride of place in my living room and, once it has settled in, I look forward to welcoming Ben for its first tuning.